HomeNews in PerspectiveWhat does IMF Boss – Lagarde thinks about debt forgiveness for Sierra Leone, Liberia and Guinea? Whilst the decision of the IMF to cancel the debts owed to the IMF by the three West African countries that are worst affected by the Ebola virus, has been widely welcomed, so too have criticisms been fierce. Critics say that the decision will not wipe out the debts owed by those three countries, but merely postpone repayment, which could also add to their longterm debt burden – along with the untold pain it causes the poor masses. 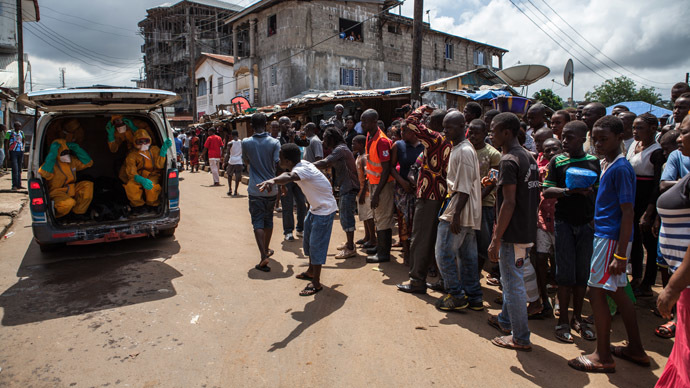 Sierra Leone, Liberia and Guinea are not only among the poorest nations in the world, but are already being crippled by foreign debt, which many believe to have exacerbated poverty levels as well as fuelled massive corruption in high places. 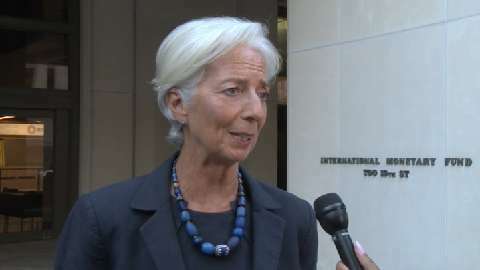 But what does the boss of the IMF – Christine Lagarde, thinks? This is a transcript of a press briefing which took place last Thursday, 5th of February 2015. Ms. LAGARDE: Good morning to all of you. It’s my first time with you on this occasion and it’s a pleasure. I’m participating in this press conference because yesterday we approved a new financial instrument, which is called the Catastrophe Containment and Relief Trust, also abbreviated as CCR. What will this Catastrophe and Containment Relief Trust do? It will provide grant aid to relieve debt service payments for two years. You will remember that back in Brisbane, at the G-20, I advocated a three-leg package. The first leg was concessional lending to the three countries that were hit by Ebola, Sierra Leone, Guinea, and Liberia. We promptly put in place $130 million. The beauty of what we do in that respect is that it is cash in the bank right away. Within the next few days, we will be proposing to the IMF’s Executive Board an additional package of concessional lending in the range of $160 million. That’s leg number one. Leg number two is exceptional grant support in this new trust, the CCR, which will be used as debt relief. It will be in the amount of $100 million. With this initiative, that second leg of the three-leg program, the IMF becomes the first international institution to give debt relief to these three countries. So the IMF is giving debt relief to these three countries through the Catastrophe Containment and Relief Trust, which will provide grant aid used to relieve the debt for the next two years. Now, the third leg is a call to official bilateral creditors because the debt of those three countries is not just to the IMF, but it’s also to other bilateral donors. Back in Brisbane, and again today, and I will do that again in Istanbul on Monday, I’m calling on the international creditors to also consider debt relief for these three countries. It’s important because of the disaster suffered by those three countries, and because of the nature of the catastrophe, which is clearly life threatening. It’s caused enough deaths so far, it is spreading, and there are potential spillover effects outside the borders of those countries. On that third leg I have already received a commitment to provide additional funding from one major donor, and I hope that there will be more that follow suit. I hope more will be announced at the G-20 in Istanbul. The final point I wanted to make is that the membership came together in a great move of solidarity on the occasion of this package. It was the case for the first package that was approved in September. It was the case again yesterday, and I hope that it will be the case for the additional $160 million that we will submit for approval later this month. RICE: Thank you very much, Madame Lagarde. I know you have questions, just one or two questions please. QUESTIONNER: Can you give us an idea of how much more debt relief you’re seeking from the G-20, and can you also put this new debt relief trust fund in context for the IMF? I understand it’s the first time ever. What’s changed? LAGARDE: From the other creditors I don’t have the exact breakdown of how much is owed, but suffice to say that there are Paris Club members and there are also non-Paris Club members. In the case of Guinea in particular, Russia is one of their creditors. So I hope that all of them will join forces to alleviate the burden of all three countries. The IMF is the first international institution to grant debt relief to these three countries. The IMF is not in the business of giving grants. Why are we doing it this time? It’s clearly because those three countries are going through a dramatic ordeal that combines pandemics, the risk of isolation, which is why I’m still wearing my ‘Isolate the virus, not the countries’ badge. And that virus has the potential to spread out in the country, in the neighbouring countries, and elsewhere, which gives it a very broad scope and constitutes a significant threat. Those are the fundamental reasons why exceptionally we’re moving out of our normal business, which is to give loans. QUESTIONER: Could you clarify which country has already offered the debt relief, and also, in general, there’s been some concern that some of the pledges for the three countries have not come in as quickly as promised, so what’s your sense of that and what more is needed? LAGARDE: Well, I’m not going to disclose the country that has pledged confidentially because they will be announcing it shortly, and it’s for them to do so. In the spur of the moment there’s always great emotion and support, but then it’s a question of following up. I’m not going to pass judgment on what the others have done. I think everybody is struggling, everybody is trying to help. There is much better coordination now, and the work that we do links with the World Bank, in particular. We are in contact with the World Health Organization too. But the beauty of what the IMF does, once again, is that once it’s approved, within a matter of a few days cash is in the bank. You know, countries’ authorities can use that public spending in the most effective way to deal with the issues. But it’s the follow up that is always an issue. Thank you. RICE: Thank you very much, indeed, Madame Lagarde. So let me just follow-up a little bit on that announcement. There has been a grant element in some of the assistance the IMF has offered before under the Post Catastrophe Debt Relief (PCDR). That’s the old facility that you might recall was set up for the case of Haiti. There was a grant element in some of that assistance. The grant element under this new facility, the CCR, is much higher. To be confirmed, but it goes from a grant element under the PCDR, of 30 percent to a 70 percent grant element. But we can follow-up on the technicalities of that. I hope that helps in the interim. QUESTIONER: I believe this trust can be used for any debt the countries owe the IMF, so it doesn’t have to be used immediately, and it’s only IMF debt? RICE: Yes. The grant assistance that we are offering now covers all IMF debt owed by these countries for the next two years. QUESTIONER: It is my understanding that Haiti’s situation was a whole cancelling of the debt forever. Whereas, this is just a two year stay of execution, so it’s just a two year holiday from the date. Whereas Haiti got rid of it all or have I misunderstood that? RICE: Yes, under the original PCDR, as I mentioned previously, set up in response to the Haiti earthquake, debt relief was provided in two parts: there were two years of relief on debt service, and full debt relief as part of a concerted international operation by the countries’ official creditors to provide debt stop relief. Madame Lagarde mentioned that we’re now doing a fundraising effort to bring in the rest of the international community. I would say on the IMF part, since our loans to these countries are at zero interest rate, in providing debt service relief you are actually dealing with the stock of debt as well in these cases.